AgriAlgae® Premium Flowering contains 4.2% free L-amino acids (42 g/l). It also contains phytohormones, vitamins, minerals, pigments, peptides, polyunsaturated fatty acids and polysaccharides. This composition makes it the perfect complement for your crop during the critical phase of flowering. 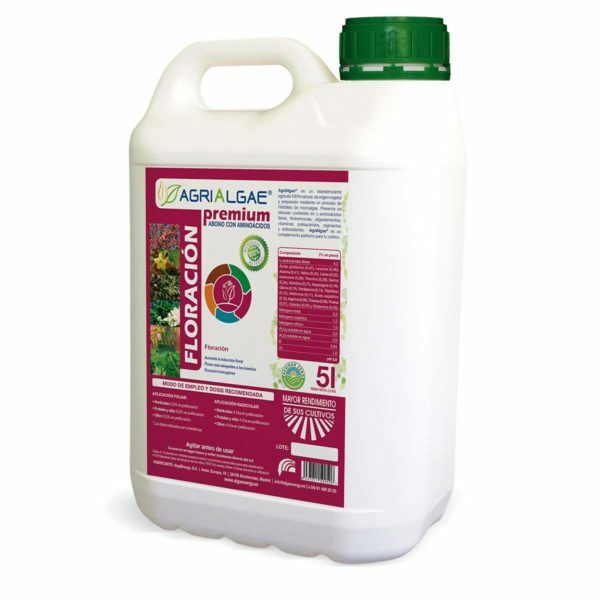 Among its numerous benefits on the crop, AgriAlgae® Premium Flowering optimizes floral induction and increases the pollination rate. In addition, it fosters a more homogeneous flowering.